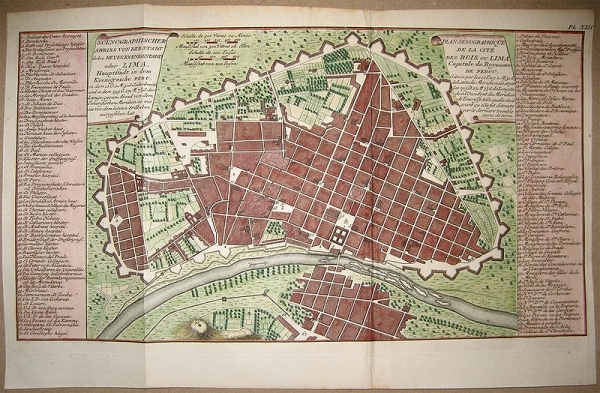 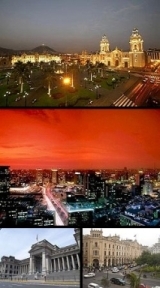 Bottom right: Plaza San Martin. 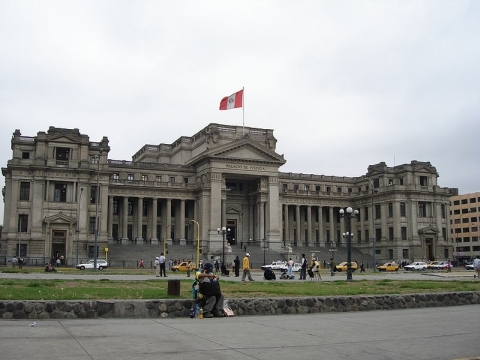 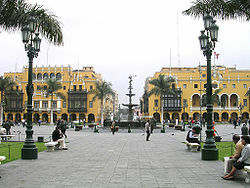 Lima is the capital and largest city of Peru. 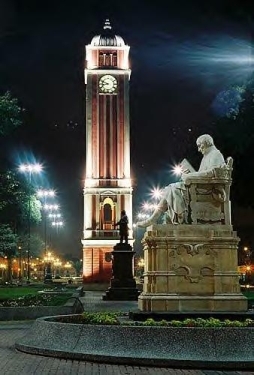 It is located in the valleys of the Chillón, Rimac and Lurin rivers, on a coast overlooking the Pacific Ocean. 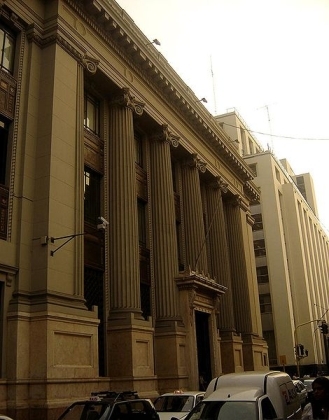 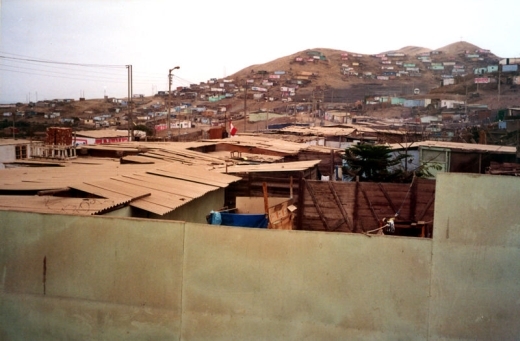 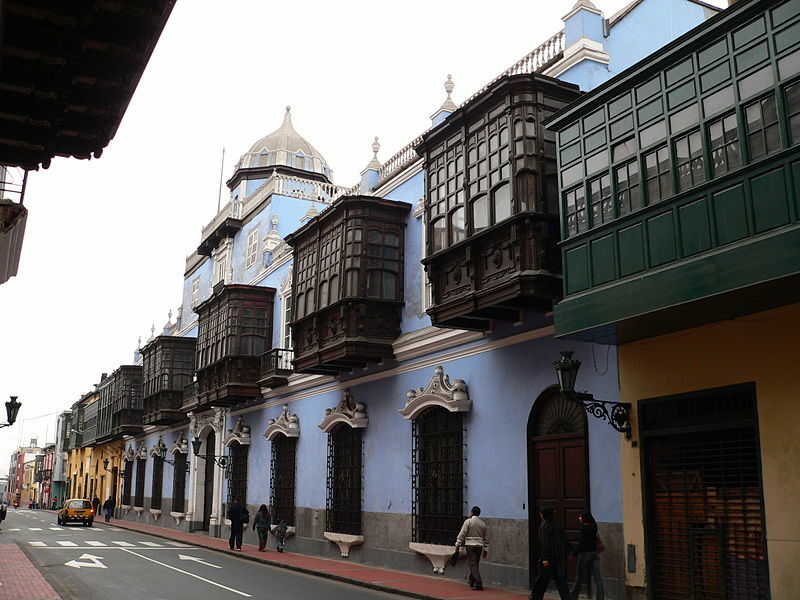 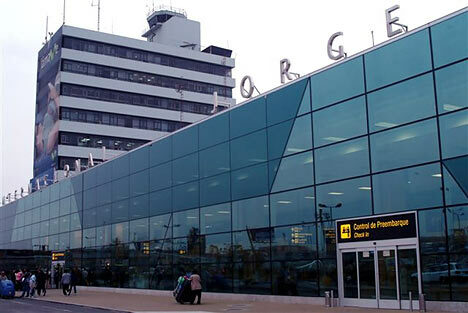 It forms a contiguous urban area with the seaport of Callao. 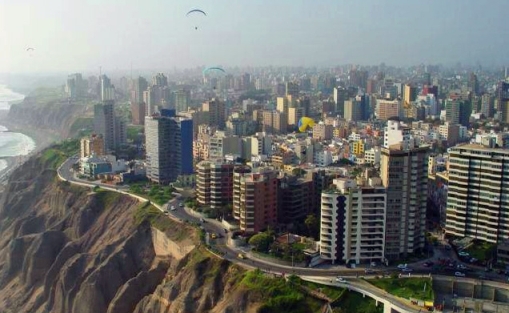 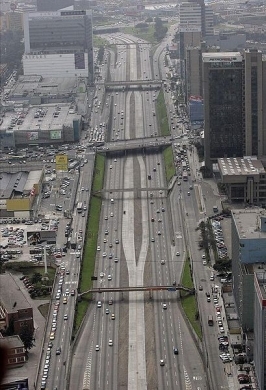 Lima is the 5th largest city in Latin America, behind Mexico City, Säo Paulo, Buenos Aires and Rio de Janeiro. 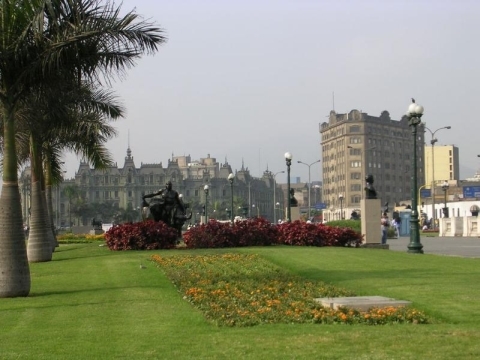 Lima was founded by Spanish conquistador Francisco Pizarro on January 18, 1535, as La Ciudad de los Reyes, or "The City of Kings." 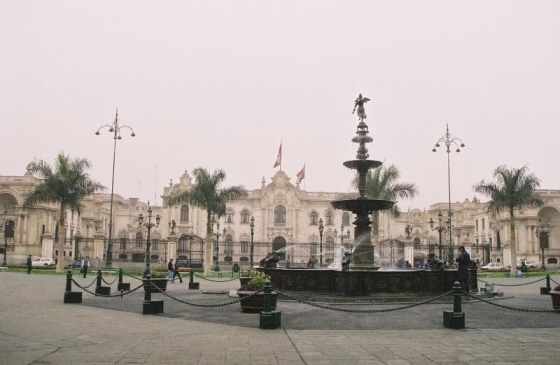 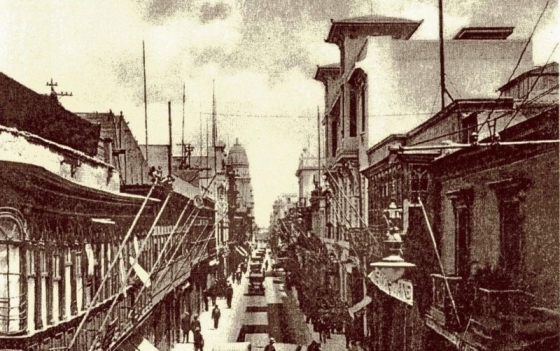 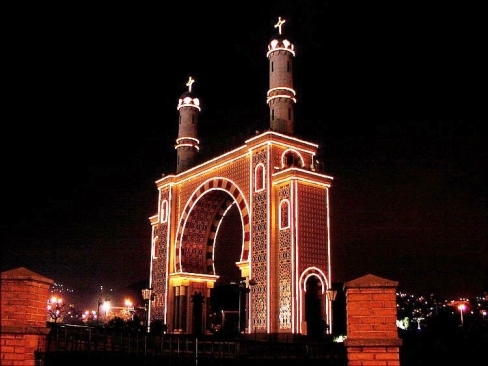 It became the most important city in the Spanish Viceroyalty of Peru and, after the Peruvian War of Independence, was made the capital of the Republic of Peru. 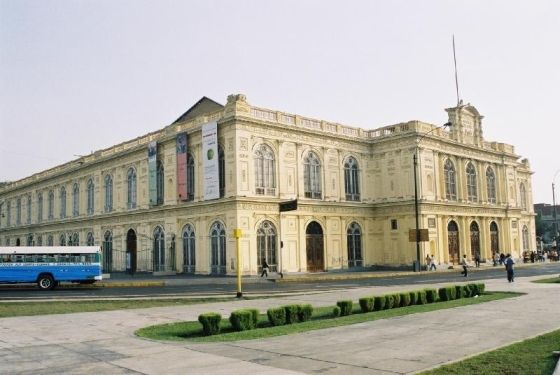 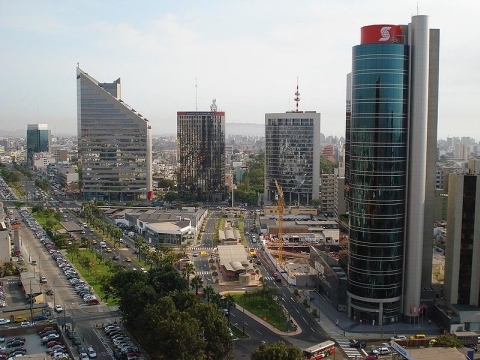 Today around one-third of the Peruvian population lives in the metropolitan area, its university (founded 1551) is the oldest in the Western Hemisphere. 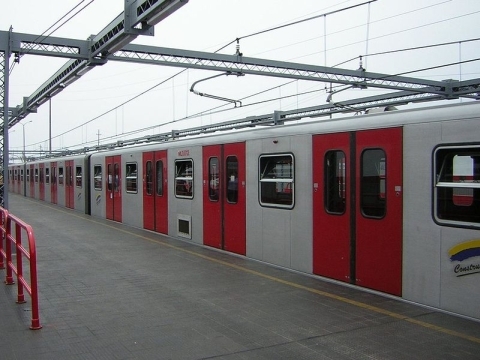 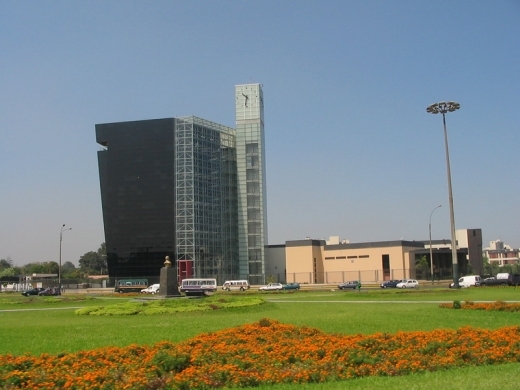 Lima is the site of most of Peru's manufacturing industries. 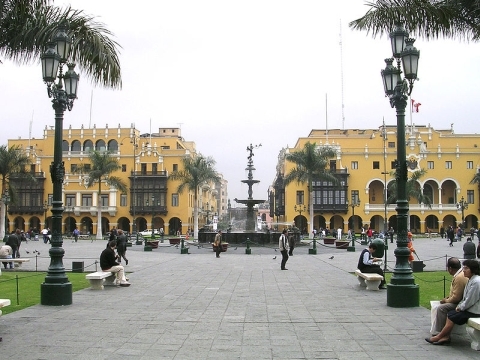 Callao, on the Pacific coast is Lima's port.